Ever since its announcement, the iPhone has been the object of much affection from people all over the globe. 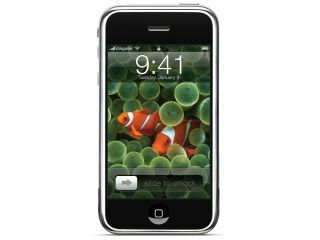 Whether it was the slick design or the touch screen interface, everyone seemed to find at least one redeeming quality in the popular Apple device. But upon its release, one of the main complaints with the iPhone - its inability to work on any other carrier besides AT&T - provoked a string of events that, to this day, have yet to be resolved. And so far, it doesn't look like either side is ready to back down. Almost immediately upon its release, Apple's closed platform was opened up and analyzed for any possibility of exploitation. In their desire to be the first to unlock or hack the iPhone, some users went so far as to open the iPhone up and solder components to the motherboard. All for the sole purpose of making calls on other GSM services. Finally, after months of attempts, two companies - iPhoneSIMFree and UniquePhones -- found a way to 'jailbreak' the iPhone and allow users to use the device on different carriers. Unfortunately, the original unlock was difficult and the mutli-step process that included the use of command line protocols and the use of over five programs scared even the most brazen of hackers away. A few short days after its release, the iPhone Dev Team released a GUI unlock that, within a matter of minutes, allowed even the most novice user to install a different SIM card and enjoy the iPhone on T-Mobile. Even better, iPhone owners were also able to hack their iPhones with the help of a popular program called AppTap. This lightweight solution allowed users to jailbreak the device and add native applications through a handy program called Installer.app. But as iPhone hacking became even more widespread, some were wondering why Apple was silent on the issue. Unfortunately, the company didn't stay silent for very long. With the release of iPhone firmware 1.1.1, Apple came out with guns blazing in an attempt to finally quell the iPhone unlockers once and for all. Upon updating the firmware, all unlocked iPhones were reduced to expensive paperweights. On the other hand, hacked iPhones still running on AT&T's network got off with a slap on the wrist and were restored back to factory defaults with all of the extra applications removed. In one fell swoop, Apple had created a PR nightmare for itself. Looking like the bully that bricked the world's most expensive mobile phone, the company was forced to respond to loaded questions that begged for a simple answer: "why"? Unfortunately, that answer never came and it was up to the hackers to remedy the situation. With bricked iPhones in hand, iPhone unlockers looked towards the iPhone Dev Team, iPhoneSIMFree and others to find a way to rehack the iPhone. Interestingly enough, hackers found an error in the way the Apple device handled TIFF images. According to the hackers, the TIFF exploit is common across all of the applications on the iPhone and will allow any user root access. So, in just a few short weeks, people were once again able to jailbreak the iPhone and install third-party applications, while using the device on any carrier they wished. And luckily for all of those who were left with a bricked iPhone, hackers also found a way to revive the device and get it back to a running state through the same exploit. Of course, the story doesn't end there. Apple has released iPhone firmware version 1.1.2 to coincide with the launch of the UK iPhone. Besides its patch for the TIFF exploit, it looks like it could become yet another headache for iPhone hackers. Although reports now suggest that the v1.1.2 firmware has also been broken. So where does this story go from here? No one is quite sure. But with Apple's insistence on a closed device and the hacker community's wish for it to be open, look for this battle to continue for the foreseeable future. As Steve Jobs admitted: "This is a constant cat and mouse game we play... We try to stay ahead."